Any college student knows the feeling of independence that comes with getting to campus for the first time. Between shopping for your own groceries with points that seem to never run out at first and walking around campus leisurely even if you skipped a class that day, there is little room to feel like you answer to anybody higher than yourself. This independence is striking and sometimes suffocating for those who have never done their own laundry before. But amongst all this self-sufficiency, there is the inevitable feeling of removal from the administrative body that oversees the campus’s functional aspects. This isolation becomes even more daunting when one relies on this administration for money. First-generation and low-income college students are hit hard by the distance between the campus administration and their own life on campus. Aside from worrying about grades, they have to worry about submitting all of their financial and insurance documents on time because if they don’t, they may be risking their campus life altogether. Addressing this exact issue, First Things First is a pre-orientation program started in 2016 that intends to provide first-generation and low-income (FGLI) students with a crash course in the University and its administration. Students who participated in the program continue to meet throughout the rest of the semester to discuss important issues they felt they were having, such as inclusion, access to the administration, and difficulties in understanding and navigating the financial aid and health care application process. The conclusion of the school year culminated in an informal panel that gave participating students a chance to reflect on the group’s progress over the semester. But it was during this relaxed fruit-and-cheese social that underlying tensions and concerns erupted. Those present decided that a year of talking was not enough to create a fully integrated space and that larger discussions needed to happen. The First Generation Low Income Task Force was formed as a result. The initial enthusiasm over the committee was significant; around 20 students expressed interest. Facilitated by Vice President for Student Affairs Michael Whaley, the first meeting was held on July 20, 2017, with students who were spending their summers at Wesleyan. “I thought that we needed to look more closely at issues and to establish a systematic way to collect and examine the issues,” he said. The goal of the group was to communicate the unique challenges facing FGLI Wesleyan students and to work collaboratively toward solving these problems. This was to be done through biweekly meetings and frequent discussion. To function effectively, the group was split up into smaller sections, each of which were dedicated to working on part of a twofold goal: improving communication between FGLI students and expanding conversations between these students and the University’s administrative body. Although the busy school year reduced the meeting to a monthly rather than biweekly basis, the group instantly succeeded in opening up channels for communication. With the support of Dean for Equity and Inclusion Teshia Levy-Grant, the committee partnered with the Resource Center and Academic Affairs to create a platform for discussion amongst FGLI students about the logistics of meal point utilization. They also discussed the possibility of hosting clothing drives for peers that may need this kind of help. This kind of word-of-mouth communication often provided much more straightforward and useful resources than those offered by the administration. While getting advice directly from the University is useful, there are many things that the administration is simply unauthorized to reveal or recommend. For example, the University is forbidden by law to encourage students to apply for outside health insurance. Therefore, students working at the Resource Center aim to address the issue by building a peer-to-peer website that would include tips and advice for students seeking assistance and support in topics ranging from available health care options to cheap textbook forums. For FGLI Task Force board member Melisa Olgun ’20, this process was insightful, as she felt that she finally got to understand the workings of the system instead of just being a figure within it. Instead of criminalizing the Office of Financial Aid as a big machine working against her and other socially disadvantaged students, she now sees the positive intentions of the financial aid staff and the limitations of what they can and cannot do. This is not to say that all attempts to pressure the Office of Financial Aid are unsuccessful, though. One meeting with the office is all it took for the committee to change a confusing rule regarding students’ scholarship accessibility. As this rule did not allow the students to directly see their money right away, let alone understand what it was being used for, it led many to assume that the school was somehow absorbing their money. The FGLI Task Force met with the Office of Financial Aid, and after voicing their concerns, the rule was discontinued. This is just one example of how linking the Office of Financial Aid and the student body is an easy way to solve seemingly complicated problems. Integrating underserved students directly with the offices in question and encouraging them to talk directly with staff is of top priority to both the FGLI Task Force and to the University administration. Director of Financial Aid Bob Coughlin claims that understanding these concerns has helped the office propose and recommend more integrative solutions. When Olgun is stressed about a deadline, she knows she has direct contact with those working in the office who can help her calm down, proposing tangible solutions catered to her situation. 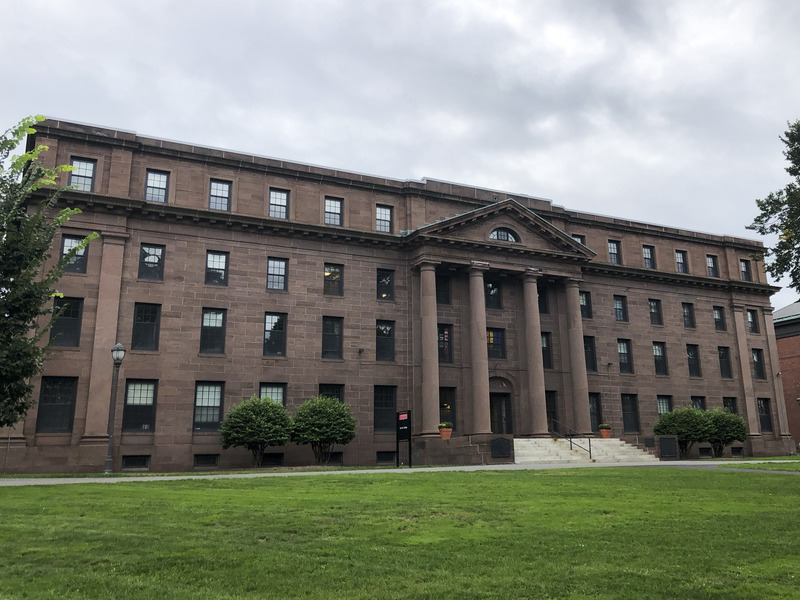 “Knowing the financial aid office on a personal level makes Wesleyan seem more accessible and comfortable for students who feel ostracized based on their income,” she said. The most important thing now, Olgun thinks, is to keep that conversation going. While the group started out with a lot of enthusiasm, the number of members is dwindling. Olgun points out that the general trend on campus is to have a two-week craze surrounding an event that dies down almost instantly. For this group to keep progressing, however, it is especially important to keep the dialogue running.